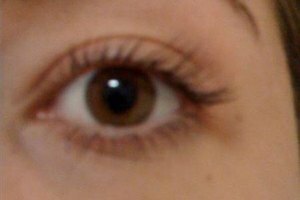 Can you trim your eyelashes and should you trim your eyelashes are two very different questions. If long eyelashes, whether natural or fake, are bothersome for you, you can absolutely trim them. But before you reach for the scissors, consider the safety issues and ramifications. If luscious lashes are your goal, trimming them obviously won't help. 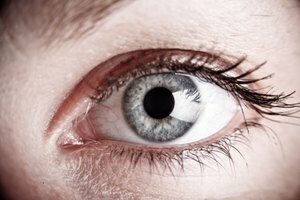 Despite any beauty myths you may have heard, trimming eyelashes doesn't affect how thick or how fast they grow. Lashes grow at just a fraction of a millimeter a day until they eventually fall out and new ones grow in their place. When trimming your lashes, be very, very careful to prevent injury to your eyes. Under bright lighting, use petite eyelash or eyebrow scissors. If possible, have a friend (whom you really, really trust!) trim the lashes with your lids closed. Trim falsies before putting them on your eyes. Cut the outer edges of the lashes to fit the width of your eyes. To trim the length, cut the lashes near the inside corners of your eyes shorter than the rest for a more natural look.